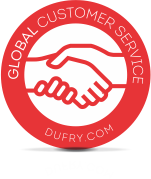 Dufry always aims to reach the best solution to satisfy our customers. Thus, Dufry will provide refunds or exchanges as detailed below. All returns and exchanges will be assessed on a case-by-case basis to provide personalized customer service and do what is best for the customer. Customs allowances are different according to the legislation of each country. It is customer's responsibility to be aware of such limits and restrictions. It is possible to consult the Customs Allowances section at the Dufry Brazil Customer Portal. Dufry is not responsible for any confiscated products, due to non-compliance with current Customs allowance legislation of the destination or connection country. PLEASE NOTE: Proof of purchase (sales receipt or, in certain cases, credit card billing) must be presented in all cases, and in-person refunds or exchanges must be made in the same type of store (e.g. Dufry, World Duty Free, Nuance, Hudson) and country of purchase. All returns and exchanges are subject to applicable local law. 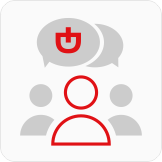 Customers may make claims because the purchased product is defective or because they have changed their mind and they want to exchange or return a non-defective product. Dufry Group companies will provide a refund or exchange of products purchased in our stores, provided the product is in the same condition as when sold (has not been used, is in its original packaging including the original seal (where applicable), and is accompanied by all original accessories, including leaflets, instructions for use and guarantees). Any refunds or exchanges must be made within 60 calendar days as of the purchase date, (or longer, as required by applicable law in the country of purchase). There are some return policy exceptions; see Return Policy Exceptions below. For hygiene and other reasons, the following items cannot be refunded or exchanged: underwear, lingerie, swimwear, earrings, in-ear headphones, books or catalogues, expired items that expire after the date of purchase, bespoke or specially-ordered items, personalized items, or items altered/adjusted after the original sale. Dufry is not responsible for shipping costs, or any bank fees charged by the customer's bank that may apply in connection with refunds or exchanges of non-defective products. Dufry Group companies will provide a refund or exchange of products purchased in our stores that prove to have a manufacturing defect within 60 calendar days of the purchase date (or longer, as required by applicable law in the country of purchase). For defects covered under the manufacturer’s warranty, customers should contact the manufacturer directly. Dufry will pay for any shipping costs that may apply in connection with refunds or exchanges of defective products as well as any bank fee for the wire transfer. COLOMBIAN EMERALDS STORES May only be returned or exchanged within 30 days of the purchase date. OUTLET STORES May only be returned or exchanged within 15 days of the purchase date. May not be refunded or exchanged for defects. exchange depending on local law and regulation. 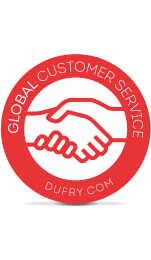 After read the Dufry Customer Service Policy please contact our team for the service you need.